The Walt Disney Studios has announced that its live-action release previously known as “1952″ will be titled “Tomorrowland.” The film will be released in the US on December 19, 2014. George Clooney is set to star. Sources are not clear on whether the movie will actually relate to the Tomorrowland of Disney theme parks, so we are still calling this is still a rumor. 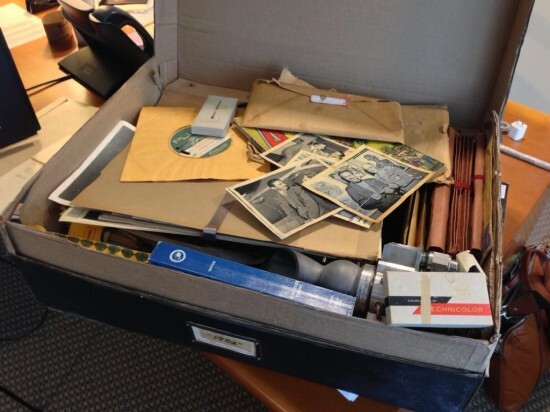 However, Bird and Lindelof recently tweeted photos of a mysterious box dated “1952″ full of items that reportedly inspired the film, including photos of Walt Disney! What do you think? Rumor or truth? Be sure to leave me a comment! Click here to see the tweet where these photos were posted!